Three sets of 36 cards for matching, in a wooden display box. The geometric figures printed on the cards are identical to the shapes in the Cabinet (GZ-028) The first set of cards has the complete shape in a solid color; the second has the same shape in a thick outline of color; the third shows the same shape in a thin outline. 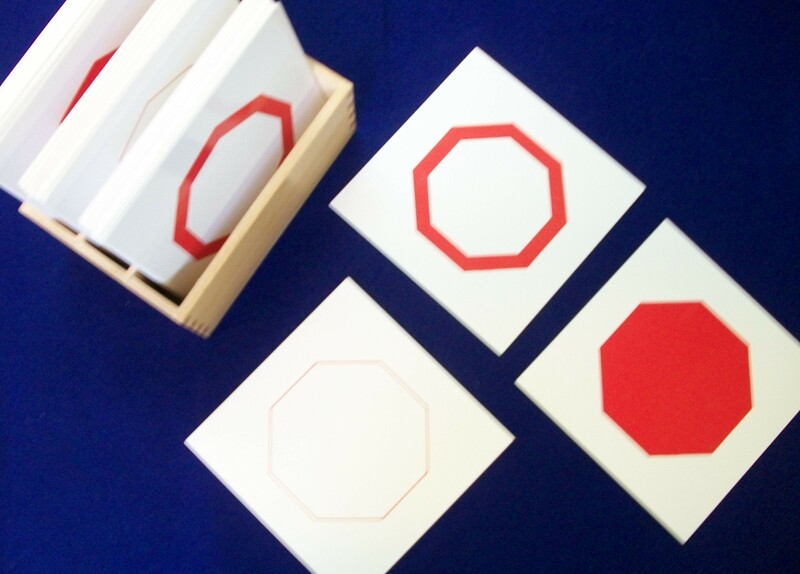 The printed notes of this Montessori presentation from our CME Teacher Preparation Course are available for purchase from this webpage under Geometry Cards Exercises.